Why does the sun shine when I'm in the sun for a day? A: Because the principle of luminous is to absorb light and emit light, that is to say, it begins to glow in the process of storing light. If it absorbs light during the day, but passes through the evening time, it passes through the highlight period of the luminous, so you can only see it slightly. Weak light, but when you turn on the lights, you can see very bright. 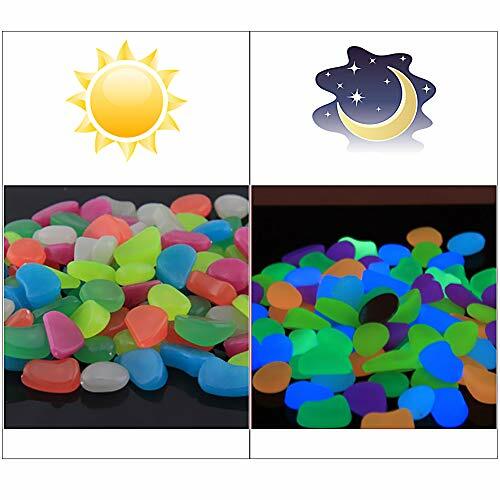 The solar luminous stone needs to be irradiated with sunlight, natural light or light during the day and naturally bright at night. It is suitable for decorations in gardens, roads, and villas. The colorful light emitted at night makes the environment and atmosphere more beautiful. The product itself does not emit light. It requires sunlight or other light sources to store energy and emit light. The longer the irradiation time, the longer the light emission. NOTE: Luminous stone is a light-storing product. The principle is that it can emit light by absorbing the light source. Each time the light is emitted is 8-12 hours, during which the first 1-2 hours is the high light period and continues to glow. The received product did not emit light because there was no absorption light source during the logistics. As long as you get sunlight or light, you can shine again. If you have any questions about this product by GoZheec, contact us by completing and submitting the form below. If you are looking for a specif part number, please include it with your message.